Often, pastors are asked to speak and officiate events such as weddings and funerals. Musicians and worship leaders are also asked to perform and lead congregations at such events. Often, people are afraid to officially ‘charge’ for their services even though no one would ever expect someone to perform these events for free. Whether officiating a wedding or presenting a session at a conference, it can be difficult to know just how much your time and speaking experience are really worth. People who must set their own prices often fear that they’re asking for too much. Many tend to undercharge for their services just to be certain that their prices aren’t too high. To help you combat this indecisiveness and to make certain that you’re being properly compensated for your time and experience, assessing your fee is important. This calculator takes into consideration your years of speaking experience, your speaking skill level, your other non-local speaking engagements and the number of sessions you will be delivering. There’s no need to be unsure of yourself the next time you send a bill for your speaking services. Both weddings and funerals take time to plan and officiate. Often there is travel involved. Perhaps even 3-5 (or more) hours of your time not including travel. Charging a minimum of $250 is perfectly reasonable and many clergy charge more plus travel expenses. Evaluate the time involved to meet with the bride and groom, plan the service, and rehearse. Often the pastor or minister also has to attend the wedding rehearsal, typically a day prior to the event itself. If you have to take a weekend off preaching at your own church to travel to officiate a wedding for a congregant getting married off-site, you’ll need to take that into consideration as well. Another time to charge an honorarium would be to guest preach or fill in for another pastor. Most pastors typically do this several times a year. One option is to do a ‘trade’ – they fill in for you and you fill in for them so that you can vacation or travel with your family a few times a year. However, if you’re asked to guest preach with a reciprocity agreement, consider the time to prepare (or better yet, give a sermon you’ve already written and preached before), and charge accordingly. Your time is incredibly valuable and your skills are worth it. These funds can be given to your church, or to you personally if you’ve had to travel and spend time away from your own congregation. Many pastors are asked to attend ministry conferences and speak on leadership and ministry topics. The calculator below can help you navigate what to charge for a speaking event such as this. Often women’s ministry leaders will be invited to speak at a weekend ministry conference at a destination site. This requires travel, time, and putting together two or more sessions on a single theme. This can take quite a bit of time and should be considered in the estimate of the honorarium. Worship leaders, either on-staff at a church or itinerant, are often asked to perform music for funerals and memorials as well as weddings. Worship leaders can also be called on to substitute lead at churches so that they usual music pastor can have the weekend off. There are many factors involved in order to decide what to charge here including the song selection process with the other party, communication of the elements of the service, showing up early to do a sound check, practicing with other musicians, and more. Most musicians concur that it is easier to ‘go solo’ and not have to rehearse with other musicians they haven’t ever played with before. Also, once you’ve helped at another church and become somewhat of a ‘regular’ you can decrease the prep and rehearsal time once you know the organization, the building, the instruments and staging elements. In terms of logistics, you’ll want to create a system for invoicing once you’ve decided what to charge. A great option that I highly recommend if you’re invoicing people with any amount of regularity is a cloud invoicing and account service like Freshbooks. for $9.95 a month you can invoice up to five organizations. You can connect PayPal, credit card payments, and even bank transfers. 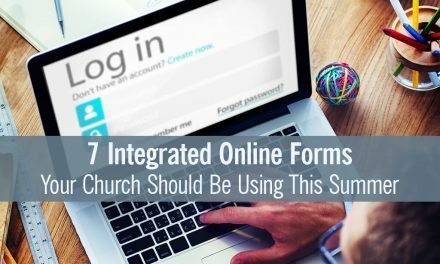 If you’re just getting started with speaking, officiating, or worship leading and you’d like to avoid a monthly fee, you can use MS Word, Google Docs, or even PayPal to send invoices. The easiest way to receive a payment is through PayPal – request that people pay you as a “friend or family” – all you need to provide them is your email that is linked to your PayPal account. Make sure to check with your accountant or tax professional as there might be specific rules related to tax issues for clergy. The speaking fee calculator below is provided by Ryan Haught of MinistryVoice.com.